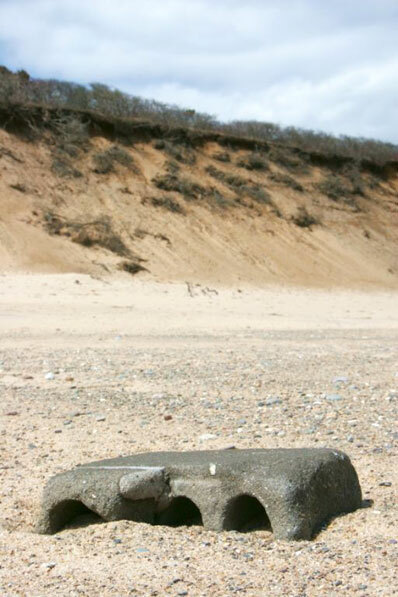 On Easter Sunday 2007, I took a walk with my camera at the National Seashore in Eastham. 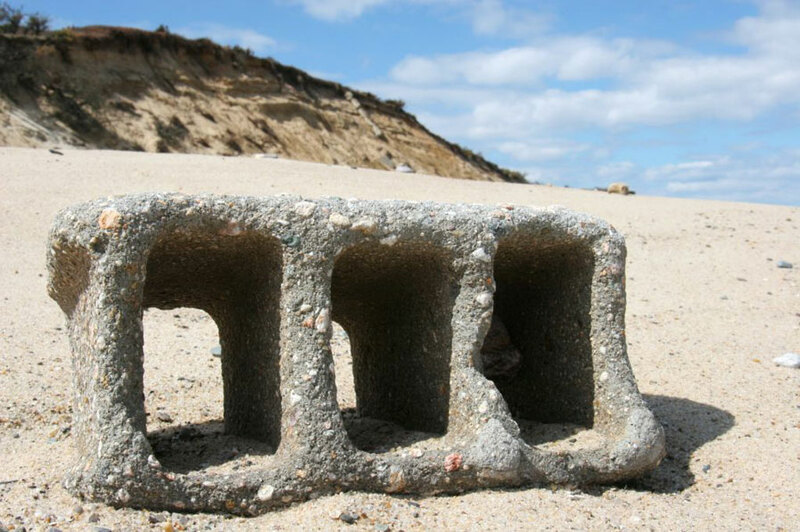 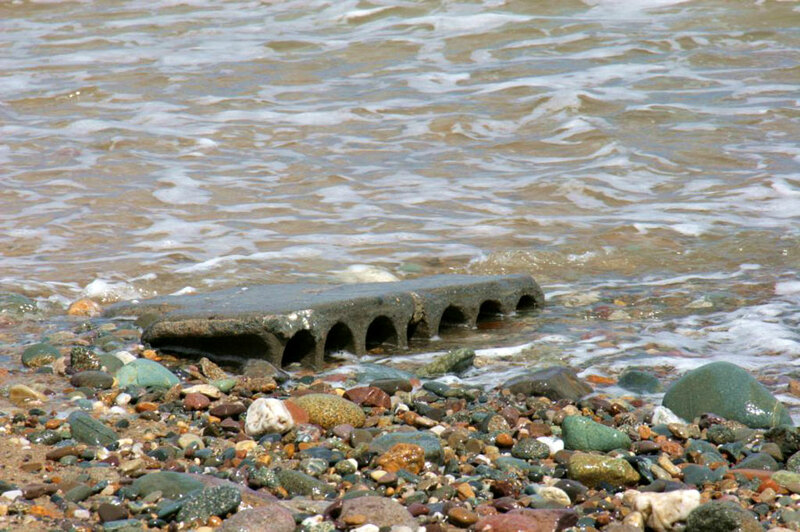 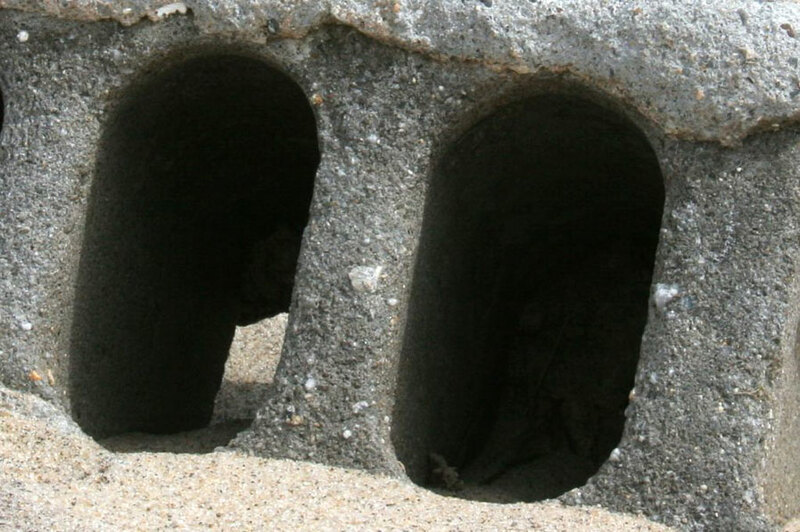 On the beach I came upon concrete blocks that had once been part of foundations for houses atop the eroding bluffs. 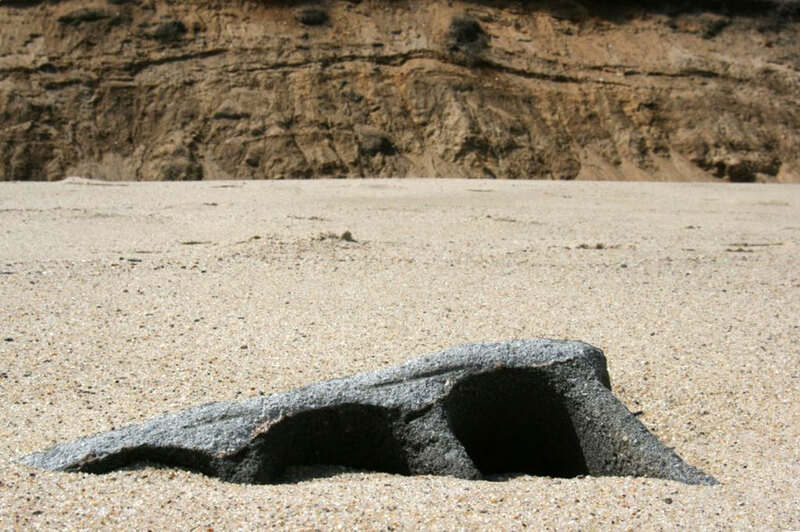 Their shapes are unmistakeable, but the forces of nature—sand and surf—had worn them smooth over the years. 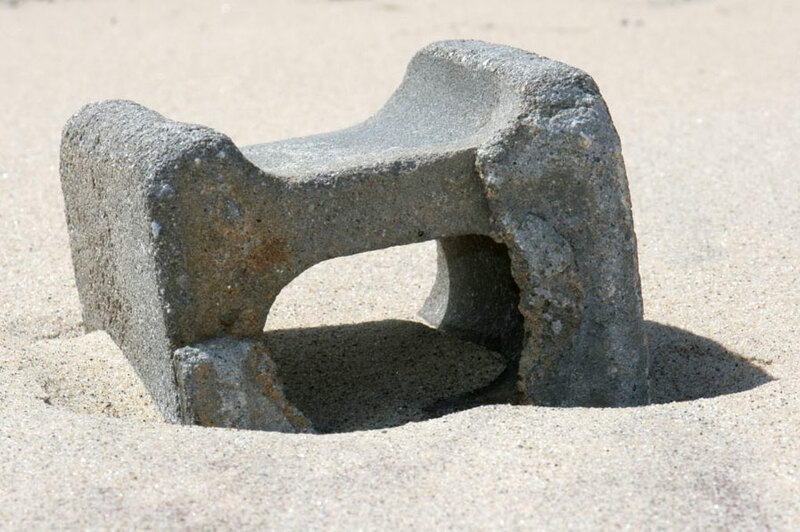 As man-made objects they are an ironic presence on the beach: At once a testimony to stubbornness of humans building in a such hostile environment, while they slowly sink and are softened by the smooth sand and water around them.